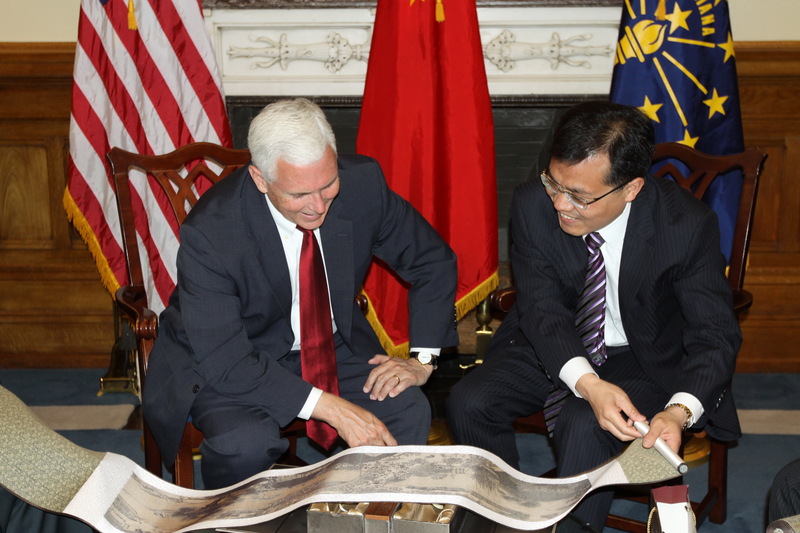 On May 28, Chinese Consul General to Chicago Zhao Weiping met with Governor of Indiana Mike Pence in Indianapolis, the Capital city of Indiana. Consul General Zhao spoke highly of the progress of Indiana-China cooperation in recent years. He said that with the development of China's economy as well as the China-U.S. economic and trade relations, there will emerge fresh opportunities for China-Indiana cooperation and the prospects for bilateral cooperation will be very promising. 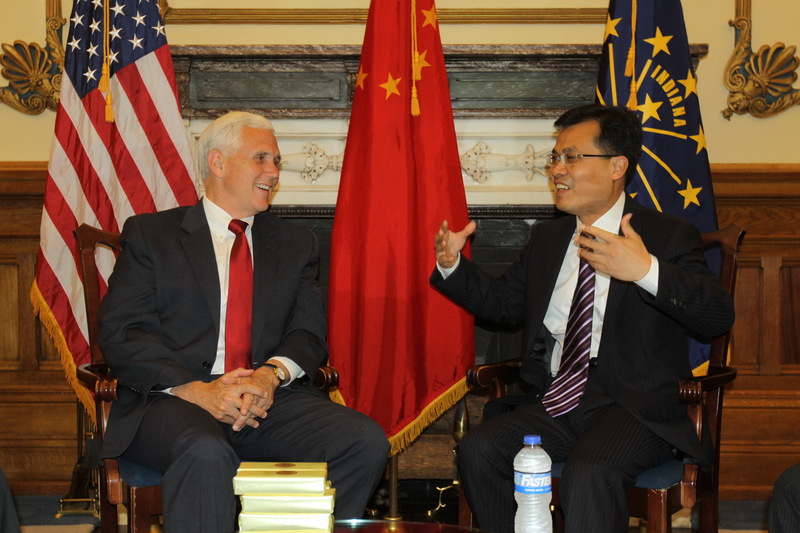 Governor Pence said that Indiana attaches great importance to developing cooperative relations with China. He is satisfied with the progress of Indiana-China cooperation and willing to promote more exchanges and cooperation between the two sides in the extensive fields such as manufacturing, agriculture, education, etc.